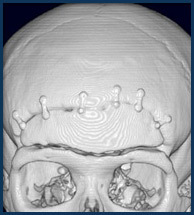 Computerized Tomography, or CAT scan, is a scan 100 times more sensitive than convention X-rays in producing two and three-dimensional pictures. Our 64-slice CAT scan is an extremely sophisticated x-ray based machine used to examine the details of the brain, spine, blood vessels, and neck along with body areas like the chest, abdomen, and pelvis. CAT scan rapid imaging examines the bones of the spine, detecting problems such as fractures, deformities, or spinal narrowing. Our CAT scan evaluates complications due to osteoporosis such as compression fractures. Multi-slice CAT scan imaging allows for the reconstruction of 2D and 3D CAT scan images without additional patient exposure. CAT scan myelograms help demonstrate how the bone is affecting the nerve roots. This is a very sensitive CAT scan test for nerve impingement and can pick up very subtle lesions. Multi-planar reconstructions are commonly used in conjunction with spinal CAT scan myelography in order to provide a long-axis view of the spine. This CAT scan, providing a longitudinal view is particularly helpful for detecting disk protrusions or for viewing certain vertebral fractures. CAT scan, multi-slice liver imaging allows rapid scanning in order to maximize differences in attenuation between the normal liver and the focal liver lesions or vascular anatomic features. In addition, our CAT scan, multi-slice liver imaging improves the quality of multi-planar and three-dimensional reconstructions of the liver, which is utilized for pre-surgical planning procedures. Multi-Slice CAT scan allows rapid, non-contrast imaging requiring no patient preparation. CAT scan imaging is performed from kidneys to pubic symphysis. This is a CAT scan screening for obstructing calculus in patients with acute flank pain, hematuria, and symptoms of renal colic. Our high-resolution chest CAT scan detects lung disorders, such as old or new pneumonia, tuberculosis, and diffuse interstitial. When clinical findings and regular chest x-rays are inconclusive, a high-resolution CAT scan may clarify the situation. CAT Scan is also used to diagnose problems in the sinuses and inner ear. The sub-millimeter, CAT scan imaging generates high-resolution images of the soft tissues and fine bones of these structures which can be reconstructed into 2D and 3D images without additional patient exposure. CAT scans of the neck can produce high-resolution images and reconstructions. Often times, CAT scans of the neck will detect abnormalities that would have gone unnoticed in a conventional x-ray image. High-resolution CAT scan of the extremities or joints remains the gold standard where bony detail is of primary importance for surgical planning. CAT scan angiography is a minimally invasive CAT scan imaging technique for detecting diseases from renal artery stenosis to intracranial or aortic aneurysms. 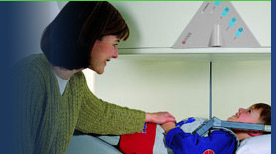 Low-dose pediatric CAT scan imaging and high-resolution, sub-millimeter CAT scan imaging are the standard.